We’ve all been there – you’re out shopping for holiday gifts, and hunger strikes. After a long day of searching for the right sweater size for Aunt Jo, cooking dinner sounds daunting. Wouldn’t it be much easier to grab a quick bite? According to many – yes, it would. Deliver a loyalty-based advertising campaign to previous customer who visited your brand within a certain time frame, but haven’t been back in a while. This is the perfect opportunity to showcase a new addition to your menu or special seasonal offer, and bring them back through your doors. Analytics Advantage: To get even more strategic, determine which DMA’s are more likely to have missed loyalty opportunities with PlaceIQ’s Analytics Dashboards. While some markets may be doing well in terms of bringing in unique visitors, they could be missing the mark in terms of repeat visits. Reach consumers who recently or frequently visit your competitor’s dining establishment. Consider offering a coupon or special offer to sway their decision in favor of your brand. Analytics Advantage: Food preferences differ by market, and so do competitive pressures. Leverage PlaceIQ’s Analytics Dashboards to determine who your top competitors are by DMA. The ‘holiday rush’ got its name for a reason. Consumers are on-the-go and extra busy during the holidays, and convenience will go a long way in terms of their decision. Reach customers who frequently do the household shopping, and who reside nearby your dining establishment with a convenient offer. Analytics Advantage: Adjust your creative strategy by market according to time-of day preferences for your brand. While you might receive a higher share of dinnertime shoppers in one DMA, your lunchtime share could be higher in a different market. Serve the best creative message for your market with location analytics. Leverage historical visitation data to understand which customers are likely to do the holiday shopping who also frequently dine at your brand’s location. Remind customers why they love your brand with a special holiday offer. Analytics Advantage: Determine which markets have a high number of ‘loyalists’ through location analytics with PlaceIQ. This can be determined by comparing your shopper reach with your visit share for certain markets. Consider allocating more of your loyalty budget towards markets with a high number of loyalists. Check out our recent ‘Holiday Audience Spotlight’ eBook for additional location-based audience strategies this season. 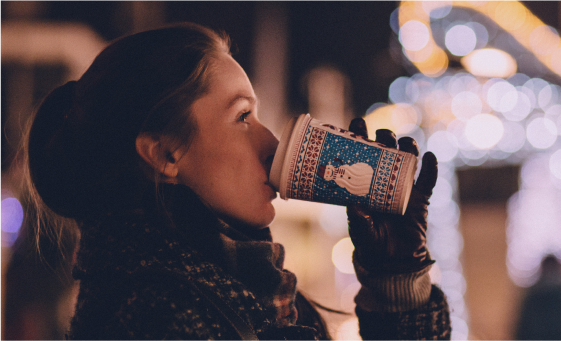 Location is a powerful way for brands to inform marketing strategies this holiday season. And with PlaceIQ’s newly launched Market Analytics Dashboard and Traffic Analytics Dashboard, brands can now access and understand location-based trends related to market opportunities, the competition, and shopper behaviors in a hands-on environment. Up Next: Stay tuned for a deep-dive analysis into a popular QSR brand to understand how location analytics can help inform your holiday strategy!